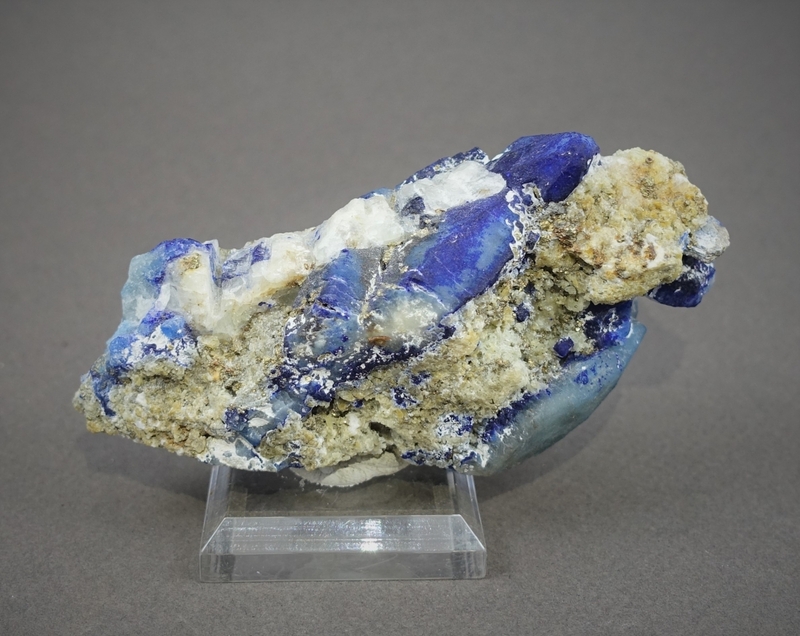 Great combination of afghanite and lazulite from Afghanistan with good crystal formation and color! The lower crystal, looking at the specimen is colorless, semi translucent with very good defined crystallization. Beautiful!